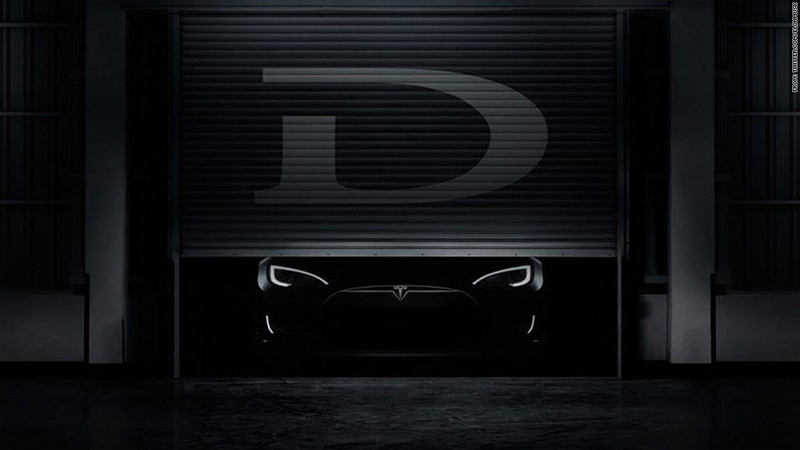 "The D" touted by Tesla Motors CEO Elon Musk is here, and it's a dual motor, all-wheel-drive sedan with mind-bending performance numbers. The improvements build on the company's current Model S, offering better traction, more driving range and futuristic automated features. And some serious speed. Model S sedans equipped with Tesla's 85 kWh battery pack and the dual-motor all-wheel-drive system will be able to go from zero to 60 miles an hour in just 3.2 seconds. That puts it in the same league as high-performance cars including the Porsche 911 Turbo and the Mercedes-Benz E63. To reach those speeds, the cars will have three driver-selectable settings: "Normal," Sport" and "Insane." The car will have slightly more driving range on a full charge than the two-wheel-drive version. That means that with an 85 kWh battery pack the all-wheel-drive car will go 275 miles instead of 265 with rear-wheel-drive car. Tesla is also adding semi-automomous driving features to its cars that will allow owners to leave some of the driving to the car's on-board computers. The features will come standard, and the automaker has been building them into cars on the assembly line for the past two weeks. These systems use sensors and cameras to help keep the car in its lane on highways while maintaining a safe following distance behind cars ahead. The car will be able to automatically change lanes while avoiding other vehicles when the driver uses the turn signal. It will also change the car's speed automatically to adjust to different speed limits as determined by cameras that read speed limit signs. While using these "autopilot" features, drivers will not be required to keep their hands on the steering wheel. The car will be able to park itself and, when on private property, an owner will be able to summon the car. The car will also be able to connect with the owner's calendar so that it can be ready when needed. With both the active driving features and all-wheel-drive systems, Tesla is matching technologies offered by other luxury automakers but adding additional features. Other automakers offer "active cruise control" systems but require a driver's hands to stay on the steering wheel. They also don't change lanes automatically. Tesla's all-wheel-drive system provides added traction but also added performance efficiency. 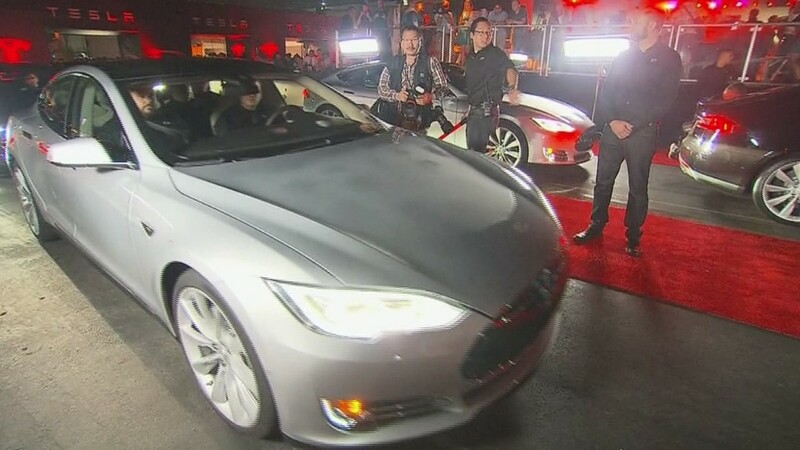 Until now, the Model S has been a strictly rear-wheel-drive car. All-wheel-drive is commonly offered by Tesla's luxury car competitors including Mercedes, BMW, Cadillac and Jaguar. Particularly among luxury car brands, all-wheel-drive is considered a necessity to be competitive in major northeastern markets. About three quarters of luxury cars sold in northern states have all-wheel-drive, according to data from the automotive Web site Edmunds.com. 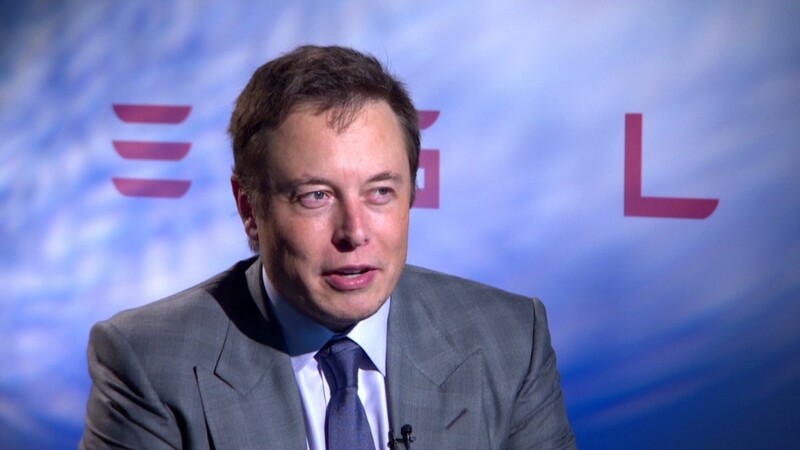 Tesla (TSLA)'s shares were down 5% early Friday. Even without all-wheel-drive, used Tesla Model S cars currently re-sell for almost as much as new cars. Consumer Reports has hailed it as the best model it has ever tested -- although the magazine later noted the car did suffer from a few reliability issues -- and it won Motor Trend's Car of the Year award in 2012.